A report by ASSOCHAM says, 2.19 crore Indians travelled abroad in 2016, a rise of nearly 400 per cent since 2000. New Delhi: Maybe it’s the charm of having a baguette at a Parisian cafe on a cool spring evening, gorging on haggis at a traditional Scottish pub, or digging into some pancakes and maple syrup at a good ol’ American diner. Trying new cuisines has emerged as one of the biggest drivers for Indians travelling abroad, trade association ASSOCHAM has noted in a report on Indian tourism trends, with industry experts adding that an “evolved palate” was encouraging more and more people to experiment with newer cuisines. According to the report by ASSOCHAM, or the Associated Chambers of Commerce and Industry of India, 2.19 crore Indians travelled abroad in 2016, a rise of nearly 400 per cent since 2000, when just over 44 lakh people set off on foreign trips. “It is interesting to note that Indians have started travelling across the world more and more, which is an indicator of affluence, prosperity and connectivity,” ASSOCHAM notes in the report, which was released recently. “Indians have been bold travellers and they have continued to travel across the globe even when the mood across the globe was sombre and not much travel was taking place across the countries,” the report adds. The most-travelled destinations for Indians are America, Europe, Singapore, Malaysia, Thailand, Australia, China, Japan and the UAE. Apart from food, the report also identified some other factors that serve as strong motivators for foreign travel: History, culture, grandeur and scenic beauty. The United Nations World Tourism Organisation (UNWTO) identifies India as one of the fastest-growing markets for foreign tourism, second only to China. 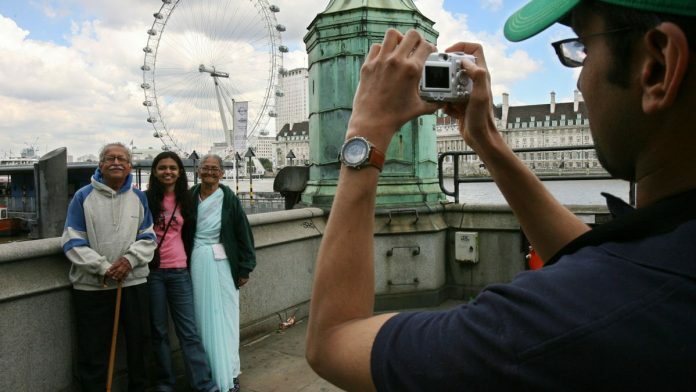 According to its estimates, India will account for five crore outbound tourists by 2020. Talking to ThePrint, travel industry experts backed ASSOCHAM’s observations about the increasing popularity of food tourism. “Immersive experiences like culinary tours have recently become a hot trend among Indian travellers,” said Aloke Bajpai, the CEO & co-founder of ixigo, a travel and hotel-booking website. “With an increase in awareness about unique global cuisines, thanks to shows like MasterChef, Indians have developed an evolved palate. Almost 50 per cent of Indians are keen on experimenting with authentic local cuisines and are planning their vacations around it,” he added. According to Bajpai, a lot of Indian travellers are now increasingly planning trips around major global food festivals. “Destinations that offer remarkable culinary experiences are always on the list of gourmet enthusiast travellers and food lovers,” said Balu Ramachandran, head of air and distribution at Cleartrip, another travel portal. “Food tours are gaining popularity as well, as they provide a more detailed perspective on a destination’s food culture. A recent trend in this space are food lovers indulging in a cooking session with chefs, thereby getting the true experience and even learning about local spices,” he added.